When David Ellis’s campy 2006 action-horror film Snakes on a Plane wound up being released under its working title, many lamented it as a sad metaphor for the movie business: Could things get any more reductive? Happily, Vulture readers, they can! 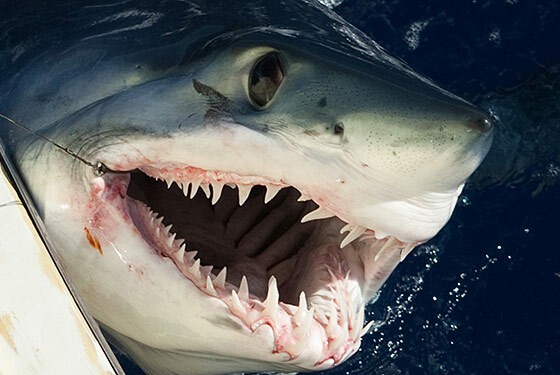 Mr. Ellis’s next movie, which currently carries the sublime working title Untitled 3D Shark Thriller, is set for release this September by Relativity Media, but spies tell us Relativity’s marketing department is working to change its title in America. The film was sold to overseas exhibitors as Shark Night 3D, but we’re told Relativity Media execs hate that title and plan to give it a different one in the U.S. But why!?! Could there be a more apt, descriptive, or honest name for a movie about freshwater sharks dining on lissome coeds at a lake house than Untitled 3D Shark Thriller? At the very least, its director doesn’t think so. Even rival studio marketing chiefs agree it could work. Why not, indeed? Relativity declined to comment on its naming process, but horror veterans contacted by Vulture did offer some cautionary advice. Does she think Untitled 3D Shark Thriller strikes the sufficient balance? “Absolutely,” Ms. Menzies insists. But Roger Corman, the dean of American horror producers, has mixed feelings about the efficacy of using Untitled 3D Shark Thriller as the film’s actual title. He fears it may be “too hip for the room,” though he also concedes that it is original, and that the outer limits of acceptability are constantly expanding. “I said, ‘No way. Not interested. My theory is this: You can go up to a certain level of insanity with your titles. Dinocroc and Dinoshark are within those limits. Go over it, and the audience turns on you.’ But [SyFy] wore me down, and I agreed to make it. What happens? Sharktopus got the highest rating of any original movie on the channel in five years. Which shows that the level of insanity is higher than I thought it was, and that even at my age — and I’m 84 — you can learn something.